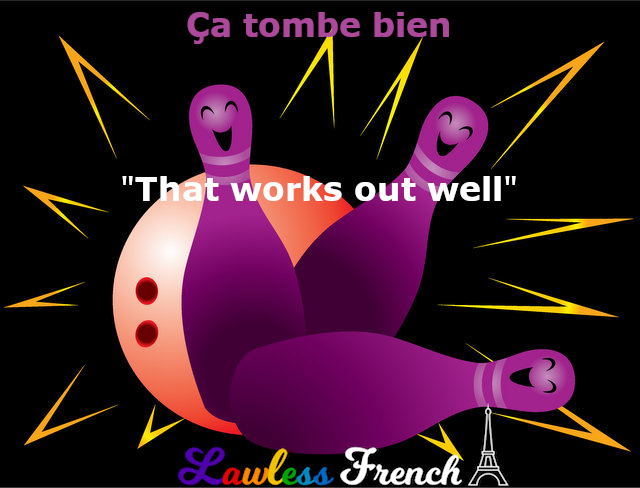 Usage notes: The French expression ça tombe bien has several meanings, all of them good. 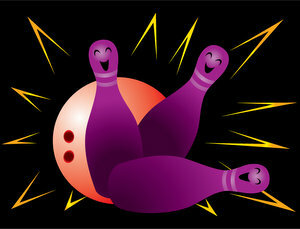 It indicates that an event or suggestion is fortuitous, well-timed, convenient, etc. It might help to remember it as "that falls into place nicely." Pierre va me payer le déjeuner. Ça tombe bien, parce que j’ai oublié mon portefeuille. Pierre is going to treat me to lunch. That’s fortunate, because I forgot my wallet. – Je vais à la poste, tu veux m’accompagner ? – Oui, ça tombe bien. Je peux chercher mon pantalon à la teinturerie à côté. – I’m going to the post office, do you want to go with me? – Yes, that works out well. I can get my pants at the dry cleaner next door.